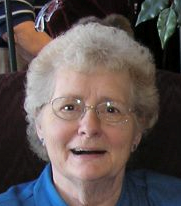 We report with sadness the death of our relative, Marlene Schmidt (1933-2016), who passed away on February 9th in Spencer, Iowa at the age of 82. Marlene was the wife of our cousin Everett Schmidt (1925-2005). She was the daughter of the late Aaron and Bernice (Brechler) Ernst, and she was the daughter-in-law of the late Charles and Katie (Krug) Schmidt. The extended Schmidt Family conveys our condolences to Marlene’s surviving children: Tom (wife Judy) Schmidt, Kim (husband Patrick) Kelly, and Siri (husband Philip) Christy, as well as Marlene’s grandchildren and great grandchildren. Click here for more information about Marlene and funeral arrangements. Marlene was the daughter-in-law of Charles Schmidt, granddaughter-in-law of Karl Schmidt, great-granddaughter-in-law of Dietrich Schmidt Jr., 2xgreat-granddaughter-in-law of Dietrich Schmidt Sr., 3xgreat-granddaughter-in-law of Friedrich Schmidt, 4xgreat-granddaughter-in-law of Johannes Schmidt Jr., 5xgreat-granddaughter-in-law of Johannes Schmidt Sr., 6xgreat-granddaughter-in-law of Hans Heinrich Schmidt, and 7xgreat-granddaughter-in-law of Hans Schmidt. Thank You to Denise Lindemann!